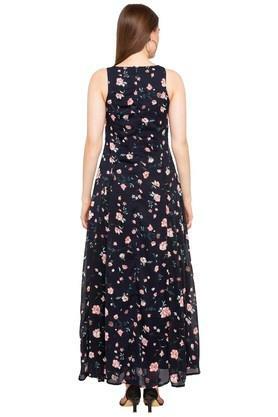 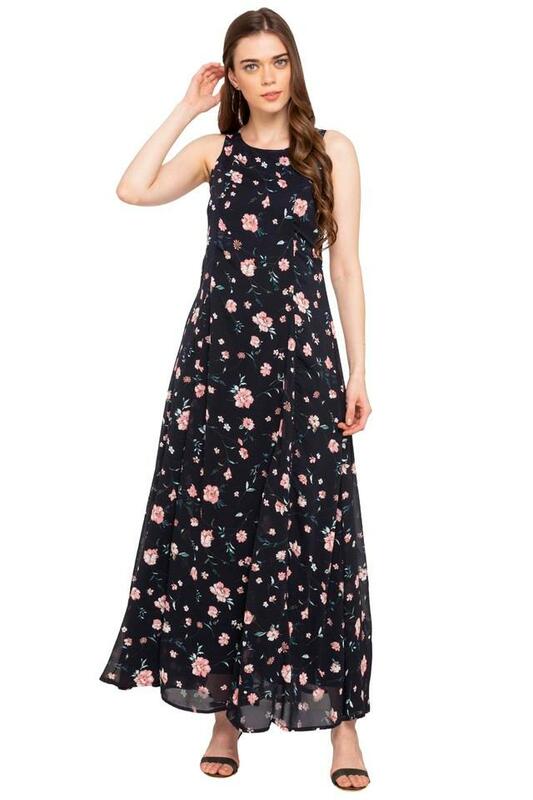 Make a statement in chic print with this maxi dress from Deal Jeans. 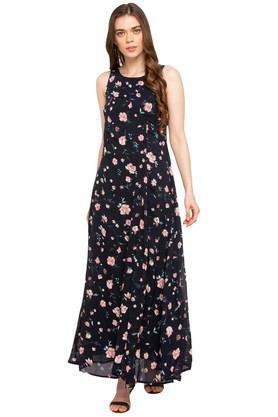 It comes with a floral pattern that renders it stylish. 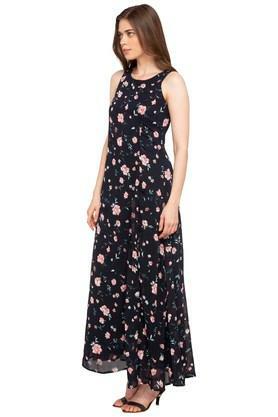 In addition, it features a round neck that ensures a proper fit and renders it stylish look. The use of a good quality fabric further makes it easy to maintain. Flaunt your beautiful curves with this maxi dress. 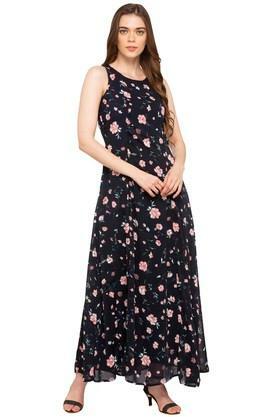 Team this dress with a pair of sandals and carry a sling bag to complete the look.